Stopping medications -- when is it important to taper? What medications should be tapered rather than abruptly stopped? This is a common question among people who take prescription medications. And there's good reason for that. 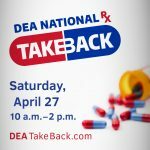 There are many prescription medications that should be tapered to prevent uncomfortable or even life-threatening consequences. 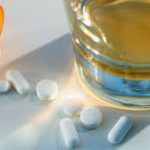 There's a lot of information available to help you decide if you're at risk of problems from stopping prescription medications abruptly, including this recent article. And be sure to talk to your pharmacist or prescriber to get the best advice for your specific situation. But if you're one of the many people who take NON-PRESCRIPTION medications, do you know if stopping them abruptly puts you at risk of problems? 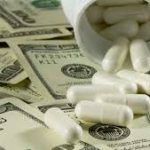 Many people are not aware that some non-prescription medications can cause problems if stopped abruptly. It turns out that topical nasal decongestant (i.e. 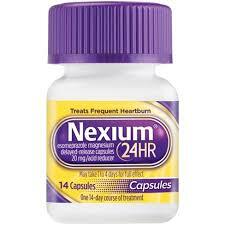 decongestant sprays) and certain heartburn medications can result in "rebound" if stopped cold. "Rebound nasal congestion" can result after using decongestant spray routinely for more than a couple of days, and "rebound acid production" may result after using certain heartburn medications for more than a couple of weeks. 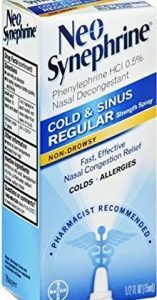 Nasal decongestants like Neo-Synephrine, Dristan and Afrin (and their generic equivalents, phenylephrine and oxymetazoline) work by constricting blood vessels inside the nose, which widens the nasal passages and allows more air to flow through the nose. They provide great relief when a cold virus hits and you can't breathe without keeping your mouth open. If you look closely at the "drug facts" on the label, you'll see a precaution not to use these types of nasal sprays for more than three days. Why? Because the nasal blood vessels get used to the effects of that medication so quickly that when you stop using them, the blood vessels swell back up and STAY that way, typically for a few days. Rebound congestion makes you feel like you still have symptoms of a cold and still need to use the nasal spray. People who aren't aware of this likely side effect may continue to use the nasal spray indefinitely, since whenever they try to stop the congestion returns. There's a better way, though. If you use one of these nasal sprays for more than a couple of days, be ready to deal with the side effect of rebound congestion by tapering the dose over several days. One way to taper is to start by using only half of a usual spray in one nostril while using the full dose in the other, then stop using it in that nostril altogether. Or use the usual dose with decreasing frequency in one nostril for a couple of days, then stopping. Either way, once that nostril seems back to normal, start tapering the same way in the other nostril. The idea is that by slowly tapering the dose and allowing one nostril to recover at a time, the uncomfortable symptoms of rebound congestion can be minimized. 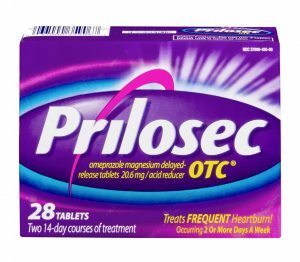 The heartburn medications known as "proton-pump inhibitors" (PPIs) include Nexium, Prevacid, and Prilosec and their generic equivalents esomeprazole, lansoprazole, and omeprazole. These medications work by preventing the production of stomach acid, so they're really good at relieving heartburn symptoms. So good, in fact, that they are often used for longer than the recommended maximum of 14 days. 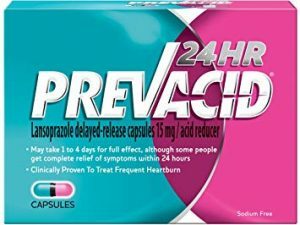 Those who aren't aware of the possibility of rebound acid production may stop using them abruptly and then find that their heartburn returns even worse than it was before. Ultimately, they may continue the medication indefinitely, maybe even lifelong. 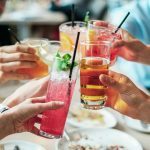 The ideal way to handle the possibility of rebound acid secretion is to prevent it -- only use a PPI on an "as needed" basis, or if daily use is required, use it for a maximum of two weeks. But if you find yourself wondering if chronic heartburn is a consequence of rebound acid production, try tapering the PPI over two to four weeks instead of stopping it abruptly. Since the tablets or capsules have to be swallowed whole rather than divided, tapering should be done by extending the interval between doses. For example, if you're currently taking the PPI once daily before breakfast, start by extending the interval by an extra six hours or so, taking the next dose at lunchtime on the second day. Then extend it further and take the next dose at bedtime on the third day. Continue tapering in that way for at least two weeks before stopping. There are many ways to slowly decrease the dose, so find one that works for you. Non-prescription heartburn medications such as Zantac, Pepcid, and others can be used for occasional symptoms while you're tapering. Know when it's important to taper non-prescription medications. Knowing ahead of time that your non-prescription medicine may need to be tapered will help you use the medication when you need it but keep you from taking it for longer than necessary. For other questions about medications that should be tapered, talk with your community pharmacist or contact us at BetterMyMeds!